In the news recently was a report that suggests the grim economy is not slowing the consumption of wine. Americans are still swirling and sipping with bull-market enthusiasm. The only concession to recession seems to be selection. Americans are trading down and purchasing less expensive wines. • Buy by the case. Most wine shops, and even a few grocery chains (in states where grocery stores are permitted to sell wine) offer generous discounts for purchases of a case or more, even when the case is a mix of brands. If you know you will consume several bottles of wine each week, this is definitely the way to go. • Target value wines and by that I don't necessarily mean the cheapest wines you can find. A value wine, to me, delivers exceptional quality at a modest price. You can identify those wines one of three ways. First, look for 88-point-plus wines for $20 or less. 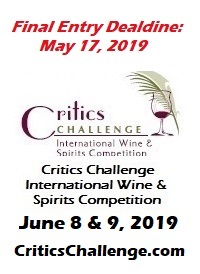 Second, peruse wine competition results and note the gold and silver medal wines that retail for $20 or less. 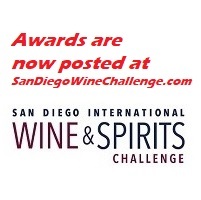 I can recommend my most recent competition, the San Diego International (www.sdiwc.com). Third, get to know your wine merchant and you just might get a heads-up when an outstanding wine comes into the shop at an attractive price. • Patronize restaurants that allow you to bring your own wine without whacking you over the head with a hefty corkage fee. Many savvy restaurateurs have climbed down from aggressive corkage fees since the economic downturn hit. But those that haven't may be willing to negotiate an acceptable arrangement. When I am planning a gathering of six or more, I call ahead to see if I can have the corkage waived on the bottles I bring if I agree to purchase a like number of wines from the restaurant list. • The bargain bin often has wines from producers I've never heard of, but at $5 to $7 a pop it can be cost effective to purchase six to eight different wines, taste them immediately, then promptly return to the wine shop or grocery store to stock up on the wines you like before supplies are drained. Many of these off-brands are negociant bottlings of bulk wine and only exist for the moment. When they're gone they're gone. • Buy it by the box. Over the past couple of years we've seen the rise of box wines to a quality level never thought possible. Best on the market today, in my opinion, is Target's Wine Cube, which is produced by the Napa Valley winery Trinchero. The Wine Cube Chardonnay, in particular, has scored a number of gold medals at wine competitions across the land. For about $20 you can stock the fridge for a couple of weeks, at least, and longer if you limit yourself to a glass or two per day. • Check out the imports. Many wine shops segregate their wines by country, or continent. Don't be flip about inexpensive wines from Chile or Argentina. There is plenty of good wine, red and white, from both countries in the neighborhood of $9 to $12. Concha y Toro is a top Chilean brand with wines in all price categories and a commitment to quality. And when it comes to Argentine Malbecs, you could almost pick them blindfolded they've gotten so good. But just for starters I'll throw out the name Valentin Bianchi for good Malbec. • Check out the imports II. It's not only South America that's coming up aces in the sweet $10 to $12 price range. Emerging regions in Spain (Navarra, for example), Portugal and Italy (especially Sicily) are worth taking a look at. 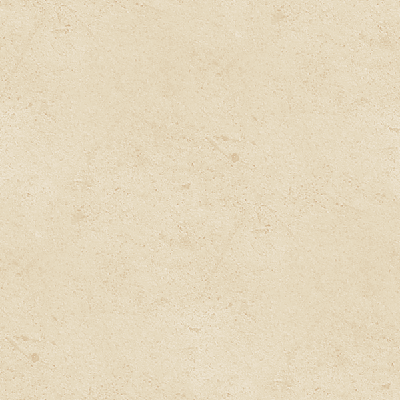 Navarra's Julian Chivite is one of my go-to value brands from Europe these days. To comment, write Robert at whitleyonwine@yahoo.com.